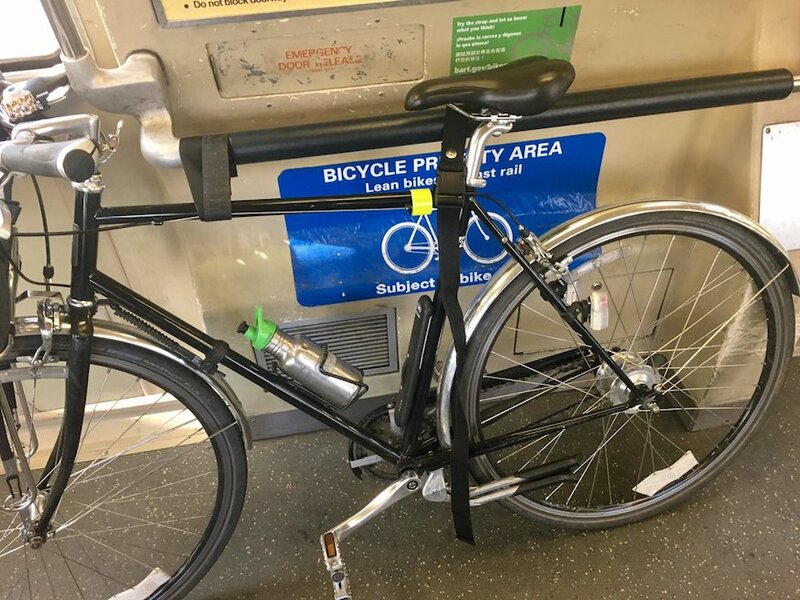 Last September we told you about the new bike straps that BART was piloting in select cars, intending to secure unruly bicycles during bumping rides. Or during that false stop + go slightly + stop-stop. Ugh, you know what I’m talking about. SFGate reported that, as a part of a new test program in 60 BART cars, you’ll find more of the storied straps, either Velcro or a buckle. Rider @prinzrob spotted the velcro variety on BART the other day. Multi-modal riders: how are the new straps working out for you, and any tips you want to share with fellow cyclists/BART riders? The straps are great for storing more than one bicycle in that space. It also slows down the thieves who grab bikes and jump out the door. I think riding these bikes is just as good for environmental friendliness.